In the centuries since the gun was invented, hundreds of innovators, engineers and inventors have brought their vision together to create what has become one of the most perfectly produced items ever made. 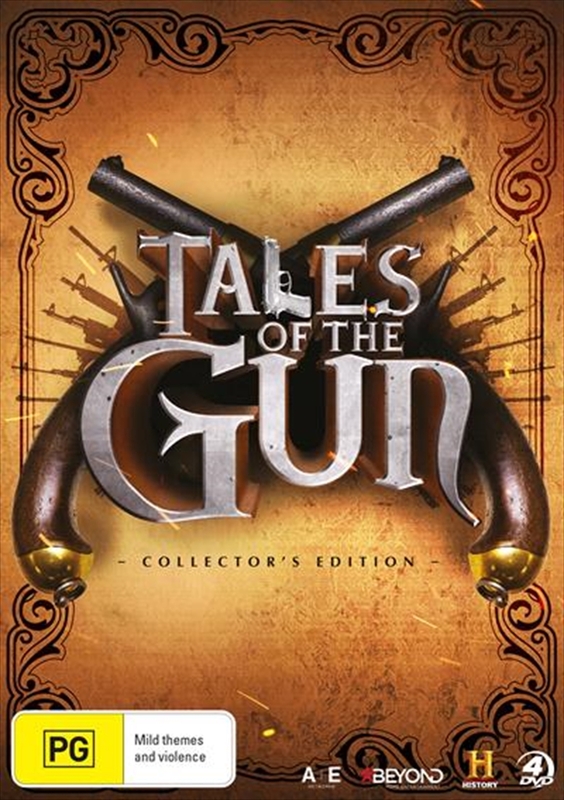 This TALES OF THE GUN COLLECTORS SET chronicles the long history of firearm design and construction from the first, primitive weapons to today's computer-controlled, high-tech factories. From the gunslingers of the Wild West to the newest technology being developed for tomorrows super-weapons, guns have etched a place in today's culture for their masterful combination of form, function and beauty.